My staff would say that I’m old school because even in this day and age, where paste waxes are being eclipsed by state-of-the-art paint coatings and synthetic sealants, I still prefer applying a coat of wax to my show car by hand. As my business continues to flourish, so does my roster of vehicles. It’s no secret that daily drivers require a lot more attention than a show car that sits under a cover in an air-conditioned garage, so I gave my team the challenge of developing a surface coating that would outlast and outperform a conventional car wax or paint sealant. Wolfgang Uber Ceramic Coating was born. 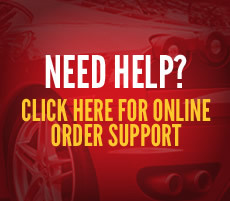 Wolfgang Uber Ceramic Coating provides protection measured in years, not weeks or months. 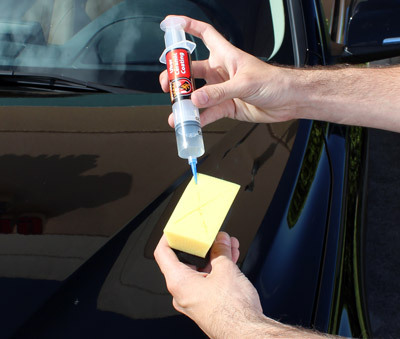 This easy-to-apply coating was designed for painted surfaces, glass, wheels, head lights, and hard exterior plastic trim. It’s packaged in a syringe for easy application. 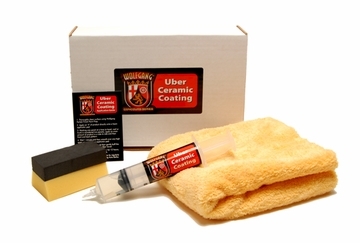 Uber Ceramic Coating lasts up to 3 years on painted surfaces, 2 years on wheels and 1 year on glass. It offers protection without compromise. And the shine, it must be seen to believe. Wolfgang Uber Ceramic Coating blankets your vehicle in a glossy shell of ceramic protection that complements all colors. Black will appear infinitely deep; red will dazzle with bright reflections; white and silver will appear as if molten glass was poured over the finish, giving the appearance that an extra layer or two of clear coat was applied. Regardless of the color of your vehicle, Uber Ceramic Coating will make it shine better than it ever has. 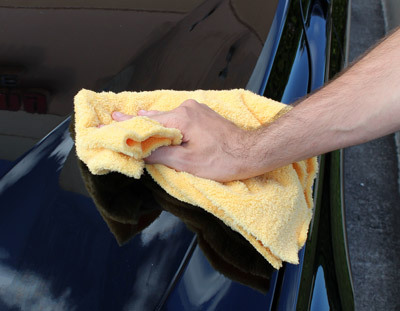 Relentless water beading and a self-cleaning effect will keep your car shining bright in between washes. Wolfgang Uber Ceramic Coating is as easy to apply as your favorite Wolfgang car wax or synthetic sealant. 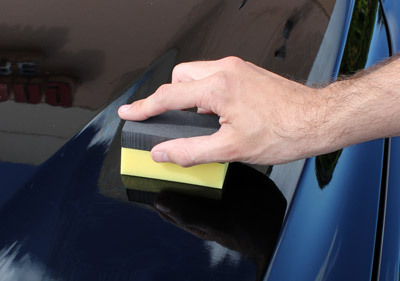 Polish the surface to remove gloss-hindering imperfections like swirl marks and scratches, wipe it down with Wolfgang Perfekt Finish Paint Prep to cleanse the surface of polishing oils, then apply a thin coat of Uber Ceramic Coating panel by panel. It goes on thin and wipes off without any effort, plus there’s no chalkiness or white powder to clean up. 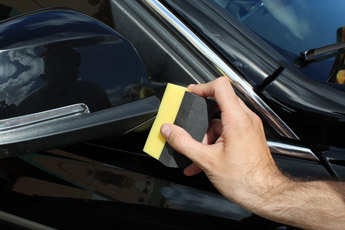 A single 15cc syringe will coat up to 3 midsize cars with protection that is unrivaled by a wax or paint sealant. Wolfgang Uber Ceramic Coating is not a wax or synthetic paint sealant, but rather a clear resin that chemically bonds to clear coat, creating a tough-as-nails shell of protection that can withstand repeated exposure to environmental contaminants without wearing off. Wolfgang Uber Ceramic Coating protects against wash-induced swirl marks, oxidation, bug stains, road salt, water spots, and bird droppings. 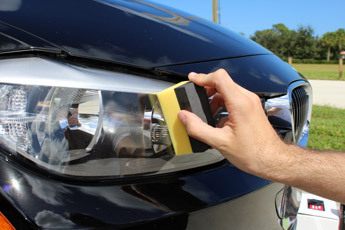 This actually decreases the cost of maintaining your vehicle because less maintenance is required to keep the exterior looking clean and shiny. Wolfgang Uber Ceramic Coating forms an extremely glossy shell of protection that is on average 50 times thicker than a conventional car wax or synthetic paint sealant. 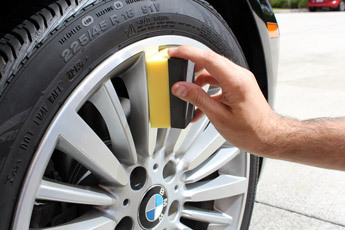 This enables Uber Ceramic Coating to withstand repeated car washes without wearing thin. Vehicles that have been coated with the unmatched protection of Wolfgang Uber Ceramic Coating will repel dirt, oil, dust, and road grime to provide incredible ease of maintenance. You’ll be amazed at just how clean your vehicle stays in between washes. 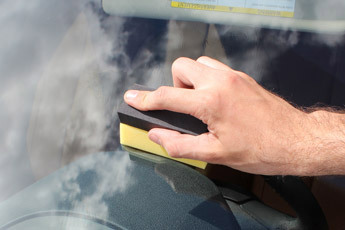 When it does come time to wash it, dirt and grime will be removed with one pass of your wash mitt. No scrubbing required! Don't stop at your paint! If you’re looking for protection without compromise, Wolfgang Uber Ceramic Coating is the product you’ve been waiting for. It did, after all, convince this old-school wax enthusiast!